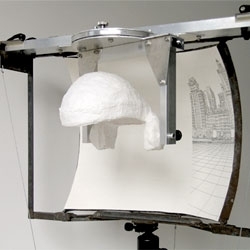 This incredible 3D drawing machine lets you draw in a different perspective. Designed by artists Ryan and Trevor Oakes. Video by David Battistella. More about the project here.